We have an exciting opportunity from Malabar Coast Coffee & Tea for a turn key business. Located on the busy Capital Drive in Pewaukee, this coffee shop has a ton of traffic. Accepting Bids Now! Sales Tax : 5.1% - Sales tax applied to invoice total, including Internet Premium. Payment Instructions: A valid credit card (Visa, MasterCard, Discover or American Express) is required to bid at this auction. If the bidder is an international bidder the only form of payment will be via wire transfer, which must be received in our office by 12pm CST the day following the auction. Everything MUST be paid for in full at the conclusion of the auction. The card will be charged at the end of the auction. Bidder further agrees that under no circumstances will he/she initiate a charge-back on his/her credit card. Auctioneer reserves the right to charge your credit card at the drop of the gavel. PLEASE NOTE: NO REFUND WILL BE GRANTED IF BUYER DOES NOT MAKE CONTACT WITH BADGER CORPORATION AND ITEMS ARE ABANDONED. If you are exempt from paying sales tax, you must forward a completed sales tax exemption form to our office attention Brenda: brendaf@badgerauction.com or fax (920) 269-8132. The form can be found at http://www.dor.state.wi.us/forms/sales/s-211.pdf Invoices will only be emailed after payment has been received. If you need to use a credit card that is not on file to pay for the items you have won, you must contact us prior to the end of the sale. Shipping Instructions: 1. Shipping/Trucking is NOT automatically available for online purchases. If you would like items shipped and/or prepared for trucking you must make your own arrangements. 2. For trucking we recommend contacting freightquote.com or uship.com 3. It is the buyer’s responsibility to find and schedule (within the scheduled removal hours) a freight carrier of their choice. 4. PLEASE NOTE BADGER CORPORATION IS NOT RESPONSIBLE FOR LOST, STOLEN OR DAMAGED ITEMS. Checkout Date & Times: SPECIAL NOTE: REMOVAL IS EXPEDITED - NO EXCEPTION TO TIMES: Removal/Turn Over to be coordinated after closing. ITEMS NOT REMOVED WITHIN THE SCHEDULED REMOVAL TIMES ALONG WITH ANY PAYMENTS RECEIVED ARE CONSIDERED FORFEITED. This auction is protected by Proxibid's Unified User Agreement unless specific terms are stated below. By bidding in this auction, prospective bidders agree to be bound by the following: Standard Terms and Conditions 1. Defined Terms. a. “Buyer” means any individual, entity, or organization that bids on any item for Sale. b. “Sale” means an online or in person auction facilitated by Badger Corporation. c.	“Badger” means Badger Corporation. d.	“Customer” means a person or entity that contracts with Badger to perform a Sale on Customer’s behalf. 2. Requirements for Participation in Sale. a. Registration. To register for an auction a Buyer must deposit cash, a wire transfer, a major credit card, a letter of credit, or a wire transfer, or other certified funds approved by Badger. Online Buyers must provide Badger with a valid major credit 24 hours before the start of the Sale. b. Authorized Rep. to Guarantee Payment. The authorized representative of any corporate Buyer who participates in the Sale shall provide Badger with a statement signed by a principal, director or officer certifying that he or she shall personally guarantee any payment due to Badger. This may be waived by Badger in writing. c.	Buyer’s Fee & Sales Tax. Unless a different Buyer’s Fee is posted, a “Buyer’s Fee” of 20% shall be added to all purchases and where applicable, sales tax shall also be added. 3. Valuation of Items. The Buyer’s determination of its bid is based upon its own examination of the item, and not in reliance on any representations made by Badger or third-parties online or elsewhere. BUYER IS RESPONSIBLE FOR THE VALUATION OF ALL ITEMS PURCHASED. Furthermore, Badger makes no guarantees to Customer that any item will sell, or sell for a price desired by Customer. 4. Errors in Bidding. Badger is not responsible for bidding errors made by Buyer. A Buyer shall bid on the correct item\lot and shall be certain that the bid is an amount (plus the Buyer’s Fee) that the Buyer is willing and able to pay. 5. Errors in Sales Listings. Badger is not responsible for any errors in the listing of any item available at a Sale. Customer is responsible for ensuring all listings accurately reflect the items. Owner/Seller Reserves the right to end the sale at anytime. Owner/Seller reserve the right to withdraw items from the sale at any time before, during or after bidding is complete. In the event of removal after bidding is complete, the high bidders sole remedy shall be the refund of the amount actually paid if payment has been made. 6. All Sales Final. Once Badger has announced the winning Buyer, said Buyer is unconditionally bound to pay for the item and Buyer’s Fee. ALL SALES ARE FINAL AND ALL ITEMS ARE SOLD “AS IS” WITHOUT ANY WARRANTY, EXPRESS OR IMPLIED OF ANY KIND, PROVIDED BY BADGER. 7. Payment by Buyer. All amounts due are denominated in United States Dollars unless otherwise noted. By participating in any Sale, Buyer personally and unconditionally guarantees payment to Badger. Further, Buyer shall not initiate a charge-back on his or her credit card after payment has been made to Badger. a. United States Based Buyers. Payment for items purchased by US based Buyers is due upon completion of the Sale. Payment must be made with credit card, cash, or cashier’s check. Unless otherwise agreed, Badger shall charge Buyer’s Card On File automatically upon completion of the Sale. b. International Buyers. Payment for items purchased by internationally based Buyers is due 24 hours following completion of the Sale. Payment must be made with credit card, or pre-approved wire transfer. Unless otherwise agreed, Badger shall charge Buyer’s Card On File automatically upon completion of the Sale. If Badger must call or otherwise contact Buyer to complete payment, Buyer agrees to pay an additional fee of 5% of the gross sales price to Badger. If any Credit Card offered by Buyer is declined, a fee of $10 per card declined will be paid by Buyer to Badger. If any check offered by Buyer is not honored, an additional fee of $50 will be paid by Buyer to Badger. Buyer is responsible for attorney’s fees, court costs, disbursements, and expenses associated with Badger’s collection of outstanding invoices from Buyer. Any amounts not timely paid shall accrue interest at the rate of 1.5% per month until paid. There will be a $25.00 non-refundable wire fee for all payments made via wire transfer. 8. Payment by Customer. All amounts due to Badger are payable immediately upon completion of the Sale, or as otherwise agreed upon between Customer and Badger. Customer agrees to pay all amounts requested by Badger, including but not limited to: commission, cancellation fees, lost commission & profits, attorney’s fees, and all other costs incurred by Badger. 9. Pick Up & Shipping. Buyer shall pick up and remove all items during the scheduled removal times. If Buyer fails to do so, all items left behind shall be considered abandoned and Badger shall not be liable to Buyer in any way. Buyer is responsible for organizing any shipping arrangements for delivery of purchased items. 10. Lost or Stolen Items. Badger shall not be responsible to Buyer or Customer for any lost or stolen items. Owner/Seller Reserves the right to end the sale at anytime. Owner/Seller reserve the right to withdraw items from the sale at any time before, during or after bidding is complete. In the event of removal after bidding is complete, the high bidders sole remedy shall be the refund of the amount actually paid if payment has been made. We have an exciting opportunity from Malabar Coast Coffee & Tea for a turn key business. Located on the busy Capital Drive in Pewaukee, this coffee shop has a ton of traffic. If you are looking to start your own business or add to your existing business this is a great opportunity. Contact Ted for more information at 920-960-1050. We have an exciting opportunity from Malabar Coast Coffee & Tea for a turn key business. 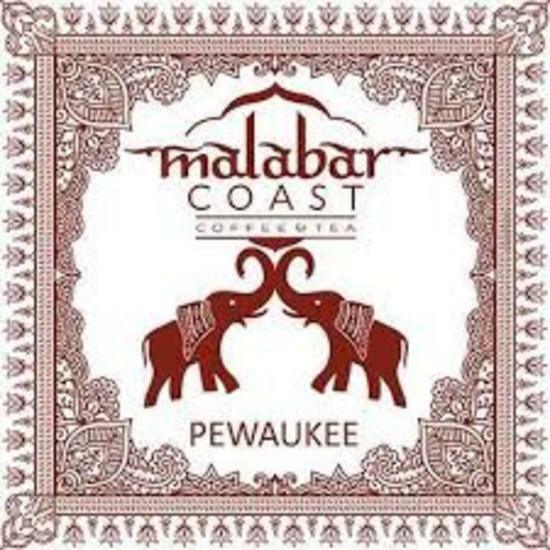 Located on the busy Capital Drive in Pewaukee, this coffee shop has a ton of tra...moreffic. If you are looking to start your own business or add to your existing business this is a great opportunity. Contact Ted for more information at 920-960-1050.